READY TO UNLEASH YOUR AWESOME? 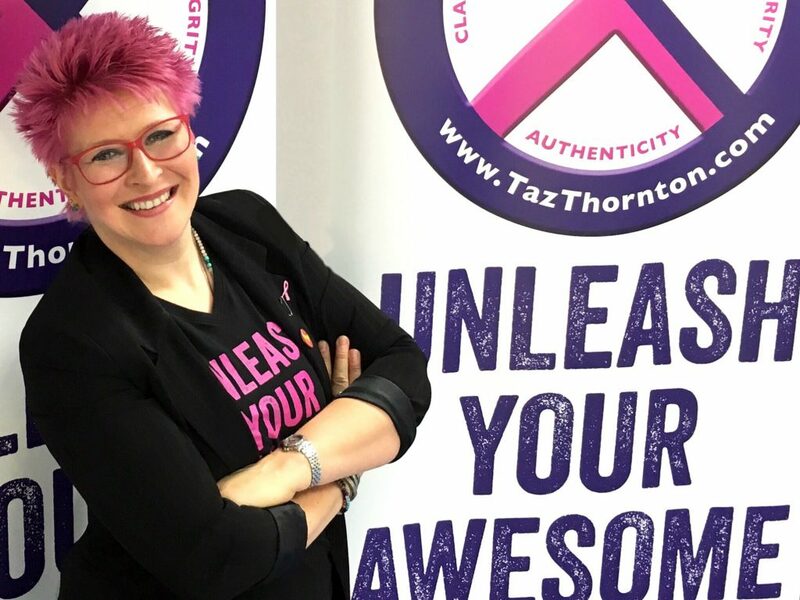 #UnleashYourAwesome with TAZ THORNTON – the UK’s Number One Inspirational Breakthrough Speaker, Empowerment Specialist and Visibility Coach. IT’S TIME TO GET TAZZED! Taz Thornton’s brand of empowerment will help you to #UnleashYourAwesome, whether you’ve lost direction or passion in your life and business, need to launch your business idea / write your book / hone your message / start being seen, Taz will help you to get back in touch with who you are, reignite that fire in your belly and work with you to create very real, achievable outcomes to aim for. Whether addressing business groups, corporate conferences or special interest seminars and events, the result is the same – motivated, empowered, enthusiastic people ready to unleash their awesome. TIRED OF WAITING? READY FOR IT TO BE YOUR TIME? WANT TO SHARE YOUR POWERS WITH THE WORLD AND BE REWARDED?